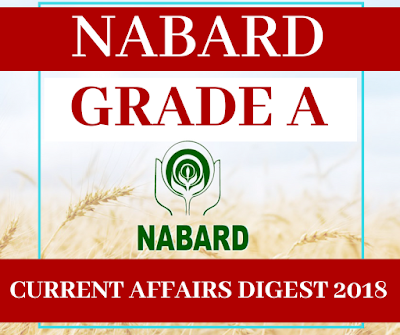 With a promise to provide you with "Comprehensive and To the Point" study material for NABARD Grade A exam, we are releasing the third Free Current Affairs 2017-18 Digest for NABARD Grade A Exam. The digest covers all the important current affairs. CCEA Approvals and Important Amendments in Acts and Govt Schemes.